Paulo Costa calls out Yoel Romero and claims he was fined by the NYSAC for using a stomach medication. 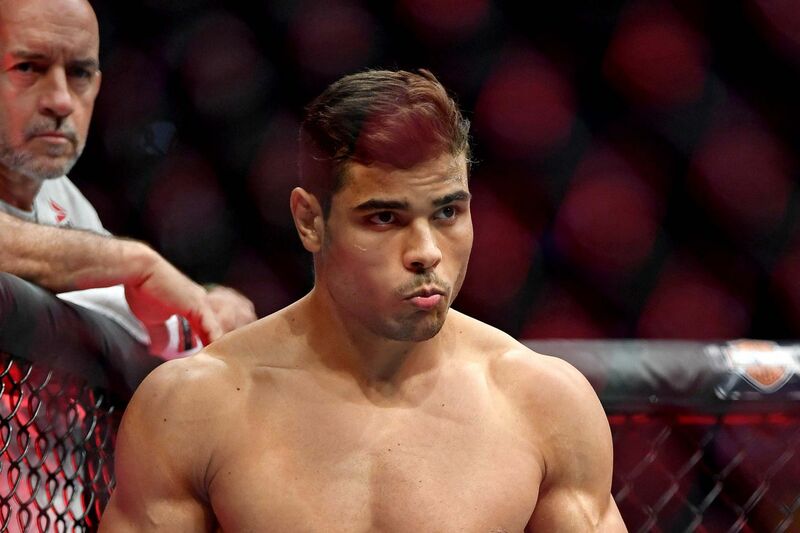 Now we know the reason why Paulo Costa was mysteriously pulled from his headlining bout with Yoel Romero at UFC on ESPN 3. Speaking to Brazilian MMA outlet Combate in a recent interview, Borrachinha claims the New York State Athletic Commission (NYSAC) refused to license him due his use of Plasil, a stomach medication he used back in 2017. Romero accused Costa of using performance-enhancing drugs but later retracted his comments. According to NYSAC spokesperson Lee Park, the athletic commission did not pull Costa from his headlining bout with Romero, but rather, fined the Brazilian $9,333.33. Costa has yet to pay the fine and is ‘not presently licensed’ by NYSAC. According to ESPN’s Ariel Helwani, the UFC is looking to reschedule Romero vs. Costa for June. Costa claims he was offered to fight Souza at UFC on ESPN 3 after Romero pulled out of the bout due to pneumonia but that he couldn’t accept it due to the massive amount of weight he would have to cut in just 20 days. Souza will now go on to face streaking middleweight Jack Hermansson in the new UFC on ESPN 3 main event. The event takes place later this month, April 27 at BB&T Center in Sunrise, Florida.